So today being labor day I figured I had a bit extra time to be a bit ambitious and cook a few things I've been wanting to make. Believe it or not, I find the most relaxing thing I can do on a day off is work in the kitchen. I made two meals with my free time today. First up: steel cut oats with pear ginger compote, honey roasted pistachios, cottage cheese and fresh raspberries. 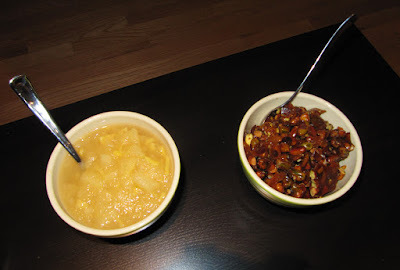 I first prepared the compote by cutting up pears into a large dice. I thinly sliced ginger and cut it into little matchsticks. 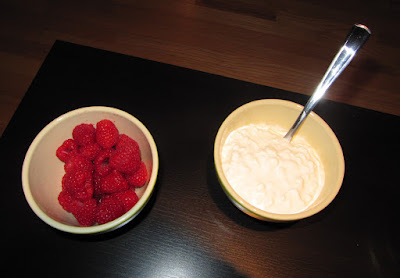 I added both of these items into a pan with some lemon juice, water, and sugar. I set this to simmer for about a half hour. For the honey roasted pistachios I placed peeled pistachios on a cookie sheet to warm up in the oven. In the meantime I combined butter, honey, and cinnamon and simmered in a saucepan. I pulled the pistachios out of the oven and tossed in the honey mixture to coat. 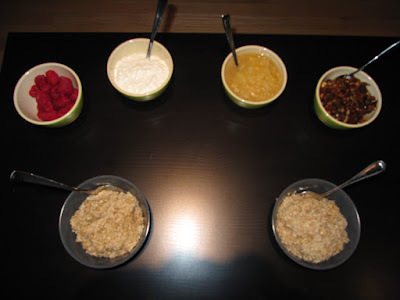 Both the compote and the pistachios were used with the oats as toppings to mix in along with some cottage cheese and fresh raspberries. 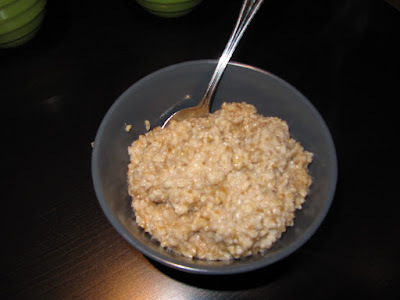 To make the oatmeal I first took steel cut oats and I toasted them in a pot with a bit of butter. I added boiling water and let it simmer until the oats were soft. After the oats finished cooking I added some kefir, brown sugar and cinnamon to finish it off. Breakfast this morning was a great departure from the usual egg and pork fat savory breakfast that I tend to go for, but it was very nourishing and filling. A great way to start off the day!